Pat chicken dry and sprinkle with 1 tsp salt and a rounded ¾ tsp pepper. 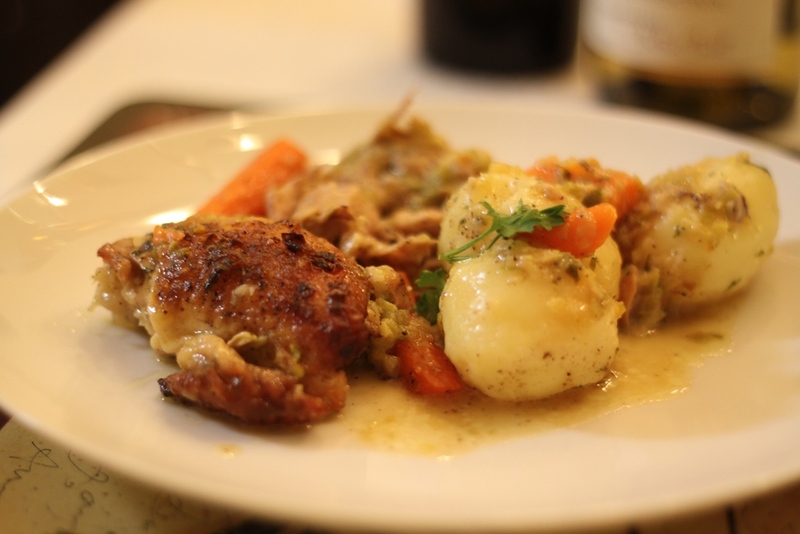 Heat oil with 1 Tbsp butter in a wide 3½ - to 5-qt heavy ovenproof pot over medium-high heat until foam subsides, then brown chicken in 2 batches, turning once, about 10 minutes total per batch. Transfer to a plate. 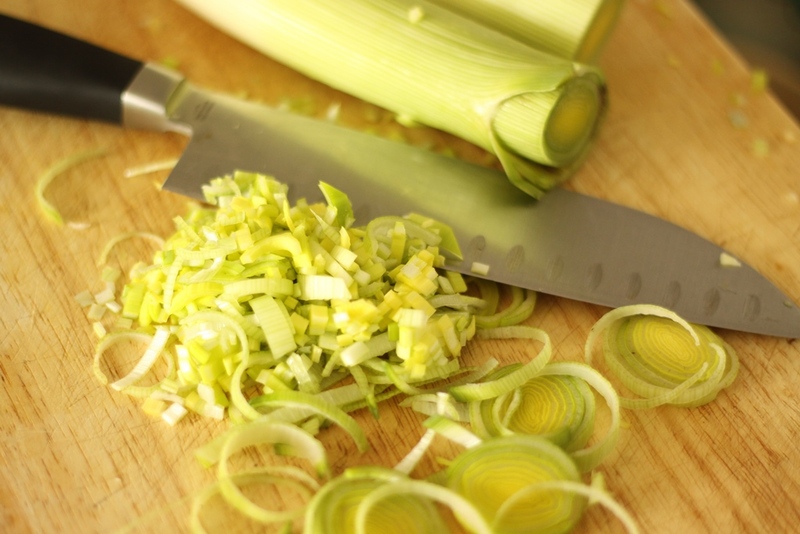 Pour off fat from pot, then cook leeks, shallot, and ¼ tsp salt in remaining 2 Tbsp butter, covered, over medium-low heat, stirring occasionally, until leeks are pale golden, 5 to 7 minutes. 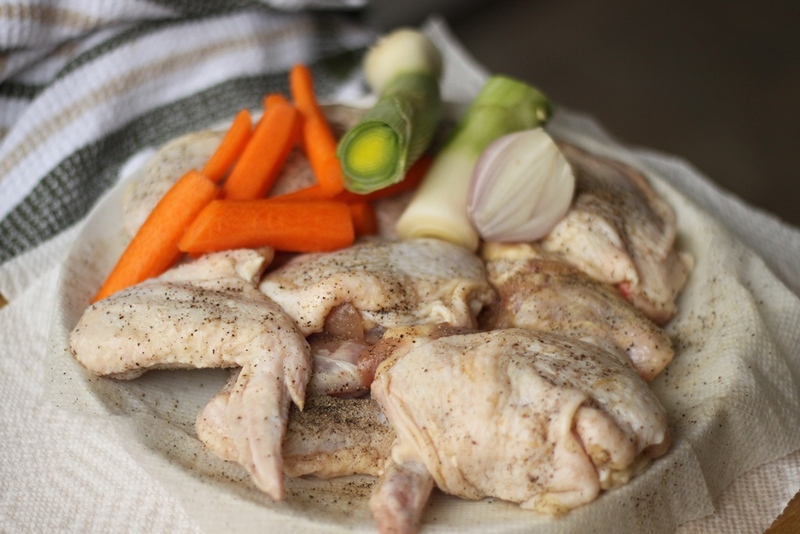 Add chicken, skin sides up, with any juices from plate, carrots, and wine and boil until liquid is reduced by half, 3 to 4 minutes. 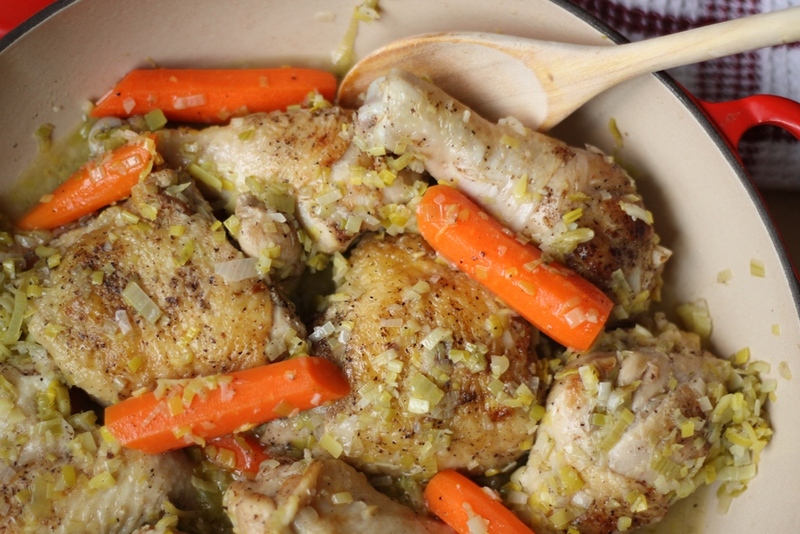 Cover pot and braise chicken in oven until cooked through, 20 to 25 minutes. 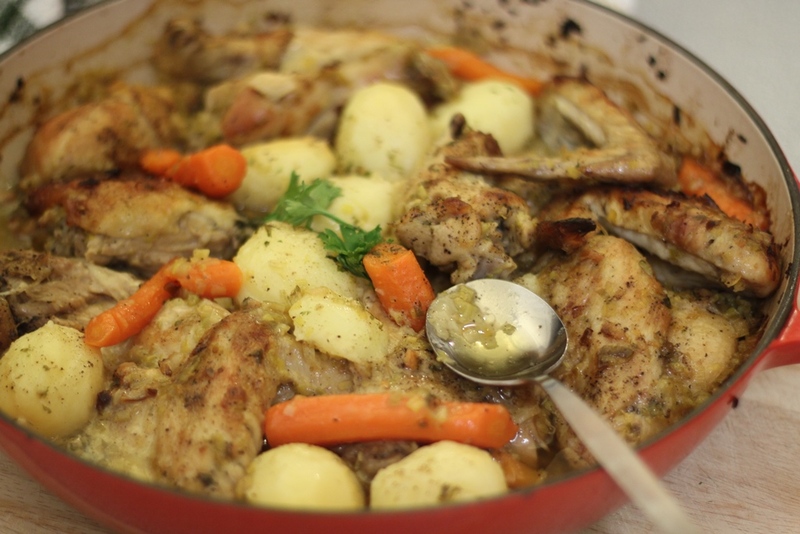 While chicken braises, peel potatoes, then generously cover with well-salted cold water in a 2- to 3-qt saucepan. Bring to a boil, then simmer until just tender, about 15 minutes. Drain in a colander, then return to saucepan. Add parsley; shake to coat. Stir creme fraiche into chicken mixture and season with salt, pepper, and lemon juice, then add potatoes. This entry was posted in Chicken, European, French. Bookmark the permalink.